“With the availability of new NFC-enabled devices from Samsung, and many more from our other handset partners to come in 2011, we are moving closer to a world in which we believe mobile contactless services will soon become the norm,” says Orange’s EVP of mobile services. Mobile network operator Orange has announced it will be making the new Samsung Wave 578 with NFC capabilties available to its subscribers across Europe — but not in the UK. 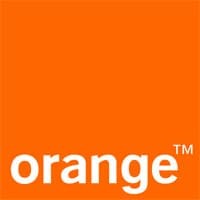 No reason for the exclusion of the UK, where last month Orange’s joint venture with Barclaycard committed to the launch of commercial NFC services in the second quarter of 2011, is given in the official announcement. The announcement does, however, provide the first confirmation of rumours that LG is to launch an NFC phone this year. Orange first committed to begin introducing NFC services “in the majority of countries in which it has a presence” in 2011 in December 2010. The devices will also feature Orange signature services including Orange TV Player, Orange Maps, Orange Messenger and the Orange Application Shop.